If you follow me on Facebook, you'll know that I post a daily find - a clever DIY project, great piece of furniture, or interesting decorative accessory. (If you're not following me on Facebook, you better get on that already, or you'll be missing out on more daily finds, sneak peeks, and tidbits of advice. And while you're at it, you can follow me on Instagram and Pinterest too). 1. 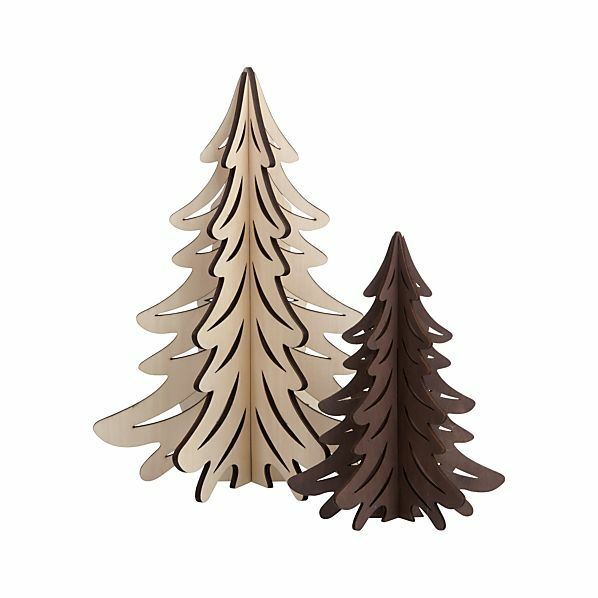 I love these laser-cut wood trees from Crate and Barrel - they would look so festive on a dining room buffet table. 2. Nothing feels or looks more luxurious than a faux fur tree skirt like this one from Restoration Hardware. 3. On top of garland, stockings, and your Christmas tree, try adding some other holiday decor in throw blankets or pillows such as this Poinsettia pillow from Pottery Barn.